I have been inspired by so many people on sewing blogs from around the world i thought i would give it a go myself. I am a little reluctant to put myself out there but oh well why not , its a new year a new start. Also I'm not all that savy on the computer but i guess i can only improve. 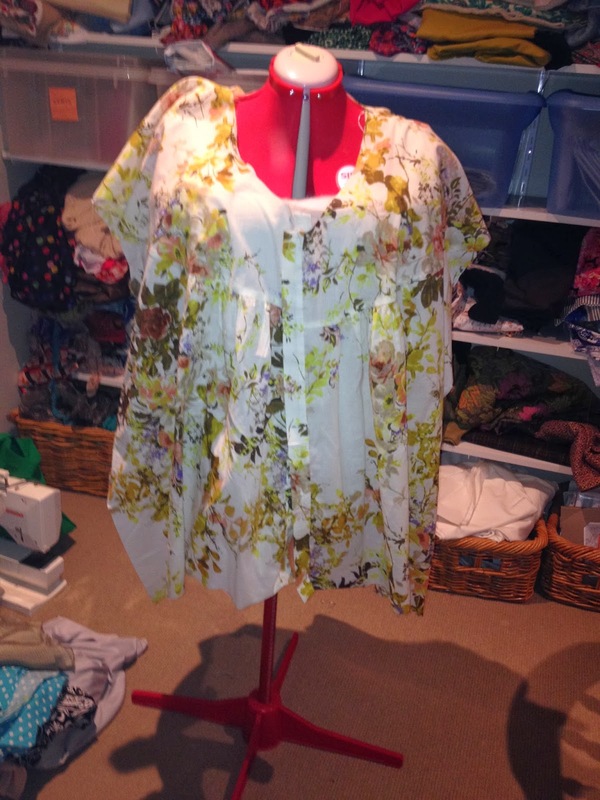 I live in Sydney and at the moment I am on holidays so i am hoping to sew a few items for work. I need clothes that are cool and comfortable so that's my main priority. wanted something cool and light. Not a great photo but when i find my camera hopefully that will improve as well. For some reason i had trouble with the collar but i think i have worked it out and hopefully will finish this shirt tomorrow. Welcome to blogging Mandy. I know what you mean about putting yourself out there. I was the same when I started blogging. Used to chop my head off in photos so I couldn't be recognised. Once I started meeting a lot of bloggers I realised what a great community this is so that worry has gone. Love your top. Very nice for our hot summers. I just want to second BeaJay's comment - I hated putting up photos of myself or my rather modest makes, but everyone is very supportive and encouraging.